Description: Display Model. Does not include the original factory box, but has the manufacturer's paperwork. Ready to Ship. Buy It Now!! Flexible, versatile and virtually limitless for fit, style and application. Wouldn’t everyone want a gun that is flexible enough to fit that description? Now with the innovative, patented and patent pending Mossberg FLEX Series modular shotgun and accessory system, your Mossberg 500 pump action shotgun can be that gun; easily converted in seconds without the need for tools. From a rugged tactical platform to a foul-weather hunting tool to a compact home defense gun, you can flex your Mossberg! At the core of this unique, adaptive system is the patented and patent-pending TLS (Tool-less Locking System), a series of three connectors that allow stocks, forends and recoil pads to be switched for a variety of shooting applications or easily “custom fit” your Mossberg, regardless of the shooter’s stature. 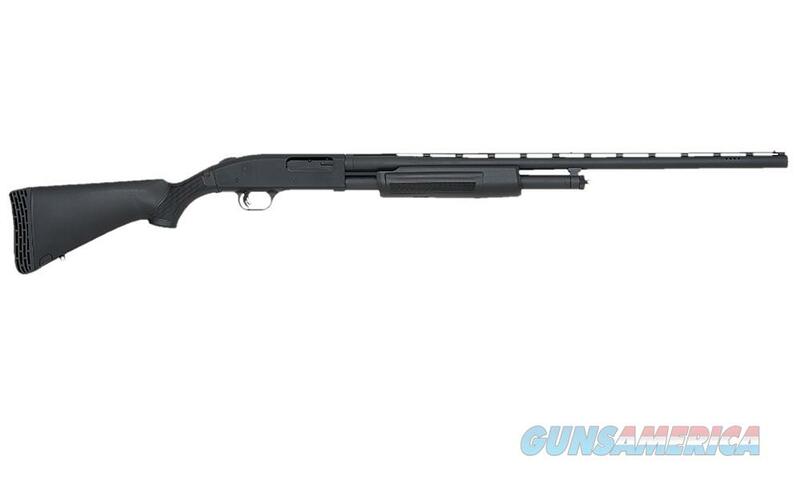 Eleven 500/590 FLEX 12 gauge shotgun base models and 16 FLEX accessory components will be offered initially. Adding to the versatility is Mossberg’s extensive line of 500 accessory barrels which are compatible with FLEX shotgun systems.